If you’re planning a trip to Japan, it’s likely that you’re also thinking about picking up souvenirs for yourself or for loved ones back home. A popular item to purchase are kokeshi dolls, and you’ll find them all across Japan – from highway rest stop gift stores to antique shops, and everywhere in between. 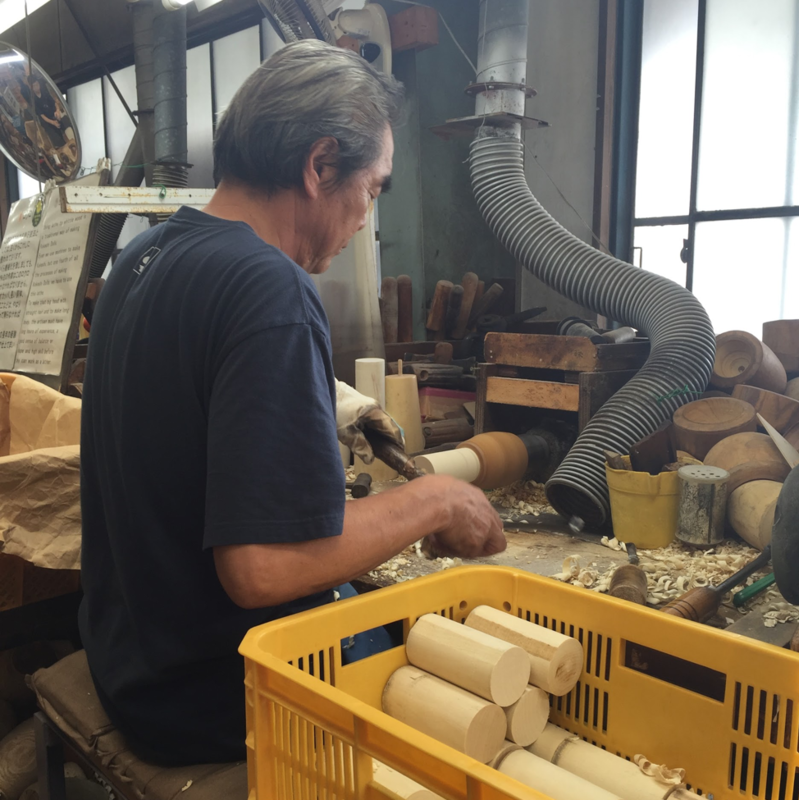 If you want a really unique kokeshi doll to take home with you, a fantastic place to visit is the Usaburo Kokeshi Factory (卯三郎こけし) in Gunma Prefecture. Gunma Prefecture is one of Japan’s top producers of these dolls, and the factory here has the capacity to crank out around 15,000 dolls a month. 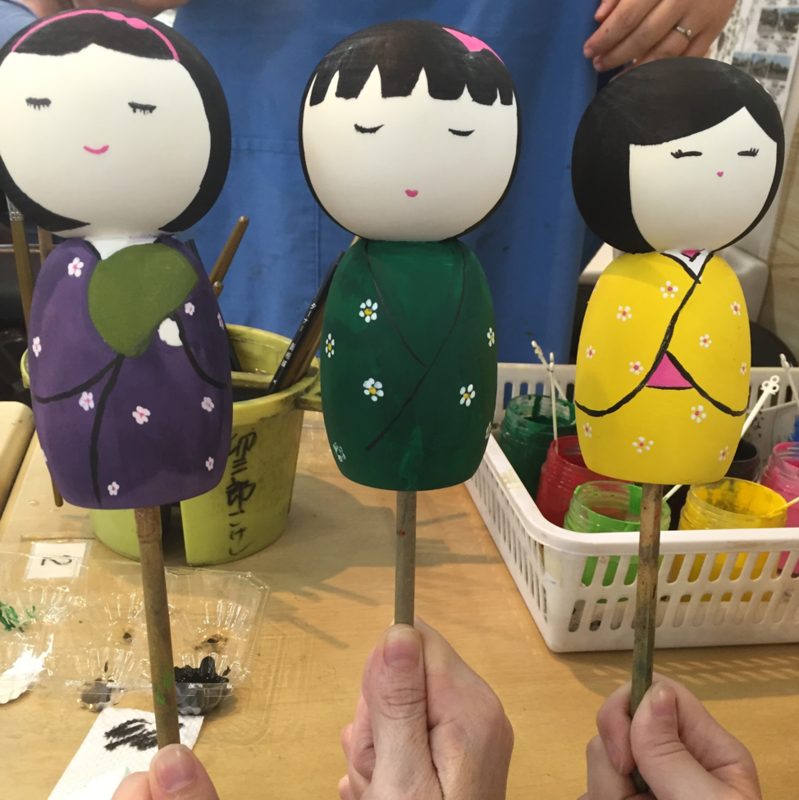 At the factory, you’re able to either purchase some pre-made pieces, from traditional styles to more quirky offerings – or you can even design and paint a kokeshi doll for yourself. 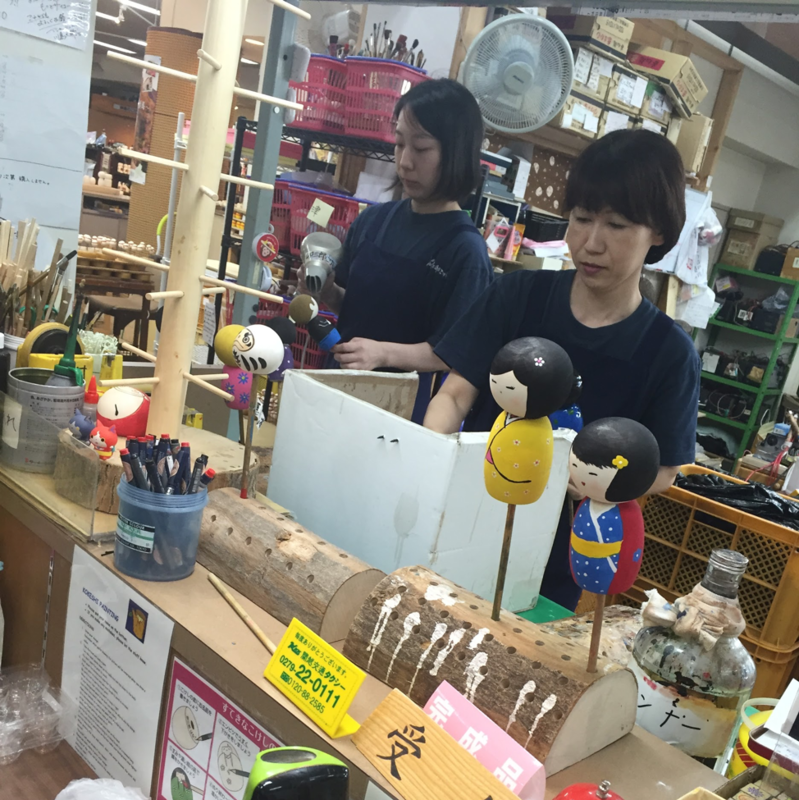 Before my friends and I painted our own kokeshi dolls that you can see above, we took a tour of the factory premises themselves. It’s absolutely fascinating watching the artisans at work – they make the process of creating the dolls look easy. One of the things we found unique about Usaburo is that they create so many different varieties of these dolls. Some of the most interesting we saw were kokeshi designed to look like Doraemon, Pikachu, Miffy, Mickey and Minnie Mouse, and even characters from Star Wars! 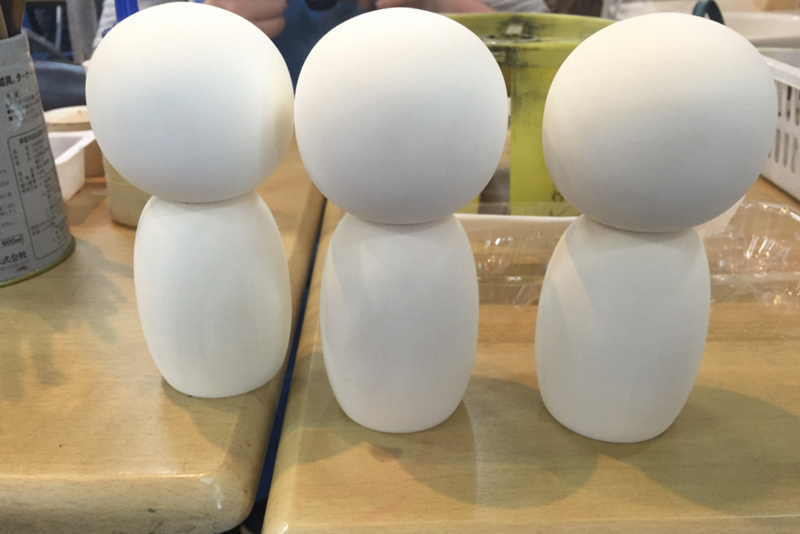 If you do want to paint your own kokeshi, you’ll be given a “blank canvas” doll like the ones you see below. The next part is entirely up to you – you’re only limited to what your imagination can come up with. My friends and I went down the traditional route when it came to designing our dolls, but we saw other people creating works that looked like Hello Kitty and Totoro, amongst others! You can go completely freehand if you’re confident with your kokeshi plans, or etch out your design in pencil first before you start painting. Once you’re done with painting your doll, you simply take it up to the staff at the counter, and they’ll lacquer and dry the doll for you so that it’s ready to take home and display! The lacquering and drying process does take about 20-30 minutes, but it’s the perfect opportunity to browse their store. Touring the premises is free, but if you’d like to make your own kokeshi doll there are two different course options available. There is a 1,200-yen option which has slightly smaller kokeshi dolls available to the ones we designed. If you’d like the larger option as displayed in the pictures, the cost is 1,800 yen. All materials including the dolls, paints, and aprons to keep your clothes clean are provided. 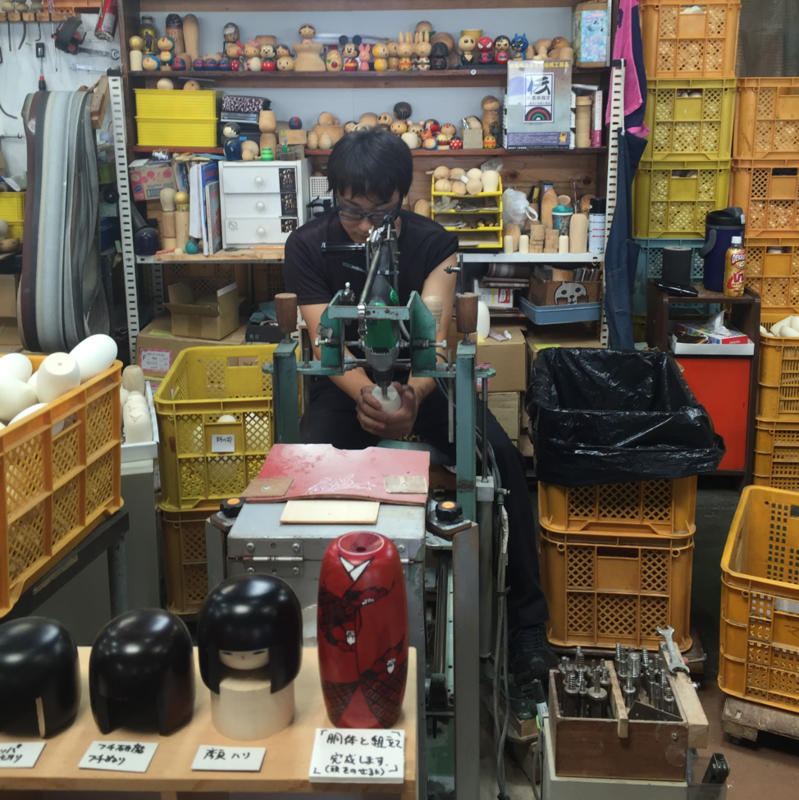 If you’re unable to make it to Usaburo Kokeshi to tour the premises or make your own kokeshi doll while you’re in Japan, they have an online store on their website where you can browse their offerings. They do ship internationally as well, if you find a piece you really love. Hours: Open 7 days a week except for the new year season, from 8:30 a.m. until 4:50 p.m. Registration for the kokeshi painting course is until 3 p.m. If you’re driving there, get off at the Shibukawa Interchange (Kan-Etsu Expressway). From there it’s about a 15-minute drive. The closest station is Yagihara Station on the JR Joetsu Line. From Yagihara Station, the Usaburo Kokeshi premises are approximately a 10-minute taxi ride away.